Eucass 2011, Saint Petersburg, Russia,website. Our publications are available at the Eucass EDP Science website here, where selected, reviewed and refereed papers are compiled together. It is felt that the following meetings contribute or have contributed to the advancement of the scientific disciplines that we foster. Therefore, our members and visitors may find an interest in learning more about the societies that organise them; it may also be in their interest to attend some of the meetings which they prepare. In particular, we encourage you to visit all the conference calls compiled on the E-CAero website since we are party to many of them. 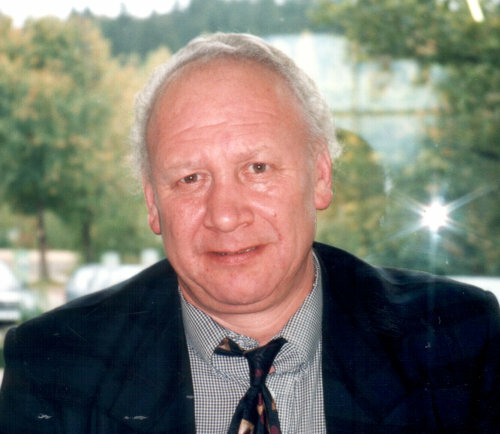 Mikhail Ivanov, an eminent scientist in the field of rarefied gas dynamics and shock wave physics, would have turned seventy in 2015. To honor his memory Institute of Theoretical and Applied Mechanics where he worked for 45 years and Novosibirsk State University where he taught students are organizing a Workshop on Non-equilibrium Flow Phenomena on June 15-18 2015. The workshop will be held in Akademgorodok, a unique “scientific town” built in Siberian forest near the city of Novosibirsk, where Mikhail lived from 1968 till his last days. A 2.5 day summer school will be organized at DIFFER - Dutch Institute for Fundamental Energy Research from Thursday July 2nd to Saturday July 4th in Eindhoven (the Netherlands). The summer school will concentrate on the basics of plasma physics and chemistry and its application. Internationally recognized experts will teach courses on plasma physics, plasma chemistry, plasma sources and applications (spanning the whole range from thermal to non-equilibrium plasma technology). The Gaseous Electronics Conference (GEC) is an annual conference that promotes the scientific understanding of gas phase electronic phenomena. For 68 years, the GEC has been an invaluable resource to the plasma and collision community, and continues to have a leadership presence in traditional areas such as plasma phenomena, low pressure processes, plasma chemistry, surface interactions, atomic and molecular interactions, simulation, and diagnostics. In recent years, the GEC has also taken a leadership role in emerging areas of plasma science including biological and environmental applications and atmospheric plasma systems. The 69th GEC will be hosted by Ruhr-Universität Bochum, Germany, from the 10th to the 14th of October 2016. A summer school (from 1st to 6th of October 2016) and a master class (from 6th to 8th of October 2016) are organized in Physikzentrum Bad Honnef, Germany on the present status of the field of low temperature plasma physics. The course offers a broadening of knowledge in plasma physics and in the interaction of plasmas with surfaces including a description of advanced diagnostics. In addition, the students will be able to interact with the teachers of the course and they will meet fellow-students from other universities in Europe and the rest of the world. Participants are invited to bring with them presentation material in form of posters. The European Aeronautics Science Network is delighted to announce that the 4th out of a series of annual specialized Workshops, this time in the fields of Flight Physics and Aircraft Design, will be held on October 27-29, 2014 in Aachen, Germany in the premises of RWTH Aachen University. The International Aerospace 2012 Conference and Exhibition is due to take place in Jerusalem, on November 20, 2012. This Conference provides the unique opportunity to bring together leading professionals from around the world to discuss the major trends and changes in the global aviation industry. Main topics will include: Air and Space Technologies, Air Defense, Active Defense, Civil Aviation, UAV’S, Command and Control Systems (C41), Radar Sensor and Observation Systems, EW Systems. We are happy to invite you to participate in the III International Scientific and Technical Conference "Aeroengines of XXI century" dedicated to the 80th anniversary of the Central Institute of Aviation Motors. Within four days more than 800 experts from 170 organizations and enterprises, including nearly 50 representatives from foreign countries, such as USA, Great Britain, Canada, France, Germany, Japan, Sweden, Belgium, India, China and others, as well as beside 30 persons from countries C.I.S. attended the previous Conference. Practically all leading aeroengine research institutes, design bureaus, and plants as well as a number of institutes of the Russian Academy of Science participated at the previous Conference. ICCS 2010: May 31 - June 2, 2010, Amsterdam, The Netherlands. The International Conference on Computational Science 2010 (ICCS 2010) brings together researchers and scientists from mathematics and computer science as basic computing disciplines and researchers from application areas such as physics, chemistry, life sciences, and engineering, arts and humanitarian fields, software developers and vendors. They address problems and solutions in the area, identify new issues, shape future directions for research, and help industrial users apply various advanced computational techniques. 2nd International ARA Days - "10 years after ARD"
Fundamentals of Aerodynamic-Flow and Combustion Control by Plasmas.